Official video for “ESPRIT DE COMBAT” from the album Le Remedium, leur Mediums by MONK.E, Feautring the FASTMOTION Stunt Team was shot in Montreal. It took place in an old building on the west side of the city. 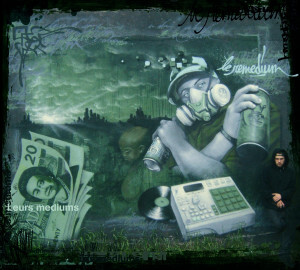 Esprit de Combat was the first projet that FASTMOTION did together also won an MU (Montreal Underground) AWARDS in 2005 for best hip hop music video. Directed by Monk.E and Thomas Liccioni.